Myers Automotive has an auto repair shop located in East Wichita, Kansas. 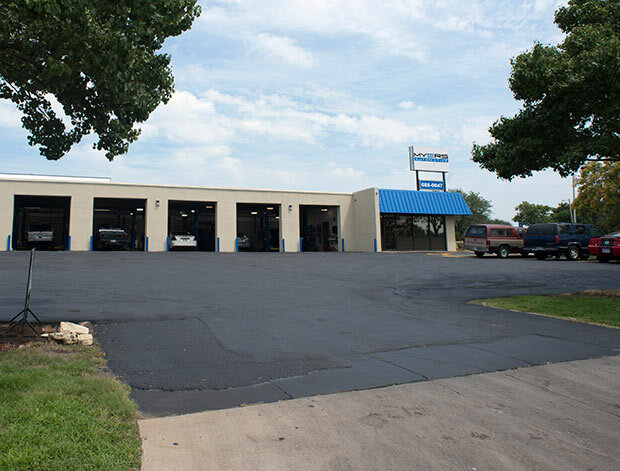 Our East Wichita auto repair shop is just one of our many locations in Kansas. We service all makes and models including domestic, import, diesel, hybrid, and fleets. From major repairs to simple auto maintenance, our ASE-Certified techs will take care of your vehicle. Backed by our 3 year/36,000 mile warranty, we stand by our work and treat all customers with honesty and integrity. If you would like to make an appointment, call our East Wichita repair shop at 316.688.0047 or book an appointment online.